Today, we’ll take a detailed look at LastPass for Firefox and how this tool can give you peace of mind in regards to password safety, make your browsing simple and to actually make it easy for you use more complicated passwords. Read on if your online security is ready for an overhaul. LastPass is available free for most browsers, covering every operating system including smartphones (with LastPass Premium). Get started by installing the LastPass Firefox browser extension, creating a LastPass account and slowly adding all your login information to LastPass with daily usage. It can be used for anything you need to remember a password for, thus eliminating the need to remember it any more. Social networks, online shops, banking passwords and more can all be stored securely within LastPass. You can also store basic information, such as name and address, that often need to be entered into forms online. There is no button within Firefox to use LastPass. The LastPass extension hides away until needed, only offering its services when it realises you’re on a login page or some other form that needs filling in, such as addresses or credit card information How Credit Card Fraud Works, And How To Stay Safe How Credit Card Fraud Works, And How To Stay Safe Despite what you may have heard, credit cards do get stolen, and credit card fraud happens, online and offline. But how does a thief get your card number, and how can you keep it safe? Read More . Then it will pop up at the top of your page and ask you if you’d like to store these details in LastPass or not. Or, if you have previously stored details, it will offer to automatically fill in the form for you. If you have multiple logins, you’ll be able to pick from a list of stored login details with the username as an indicator of which one to choose. If you access LastPass via the Firefox Add-ons Manager or the LastPass website, you can tweak your settings further to suit your needs. By logging into the LastPass website, you can also import or export all of your passwords to or from Firefox. In the LastPass website, you can also access your Vault and view any password information you may have forgotten. If you also use another computer or browser, you can install LastPass for that device or browser too and your details will be synchronised across systems for you. Your local passwords in Firefox can be imported to LastPass and exported back to Firefox at any time as a backup. If you do this, it’s a good idea to ensure Firefox is protected with a strong master password so that you don’t compromise your security this way. For $12 per year (yes, $1 per month) you can upgrade to LastPass Premium, which allows you to install LastPass on your smartphone and do all sorts of other nifty tricks. Premium users can set up multifactor authentication using a USB key and much more. LastPass encrypts and decrypts your password information locally, so it’s never being transferred in an unencrypted format. LastPass uses SSL and encypts using 256-Bit AES, so the data stored at LastPass is unusable to LastPass staff and anyone snooping on the network while data is transferred. 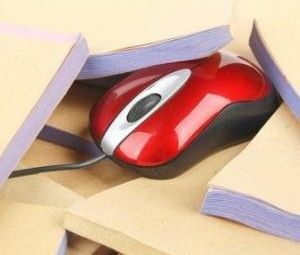 Because all of your login information is stored in LastPass, you’re logging in with one mouse click rather than typing, which is added protection against Wi-Fi snooping and keystroke logging. An added benefit of having your passwords stored and recalled for you is that you can choose very strong passwords. LastPass will even offer to generate a very strong random password for you. If you’re using LastPass on all your devices, you’ll never have to remember it anyway, so you can take advantage of this extra security. The very security-conscious users can set up their LastPass master login information using a USB device, use an on-screen keyboard to avoid keystroke logging, set up one-time master passwords for dubious networks and more. Rather than sharing passwords with friends via email, you can share them with LastPass. There are plenty of alternatives to LastPass out there, including creating a good Password Management Strategy Use A Password Management Strategy To Simplify Your Life Use A Password Management Strategy To Simplify Your Life Much of the advice around passwords has been near-impossible to follow: use a strong password containing numbers, letters and special characters; change it regularly; come up with a completely unique password for each account etc.... Read More , KeePass, Roboform, 1Password, Dashlane Dashlane - A Slick New Password Manager, Form Filler & Online Shopping Assistant Dashlane - A Slick New Password Manager, Form Filler & Online Shopping Assistant If you've tried a few password managers before, you've probably learned to expect some roughness around the edges. They're solid, useful applications, but their interfaces can be overly complex and inconvenient. Dashlane doesn’t just reduce... Read More , Mitto and Clipperz. 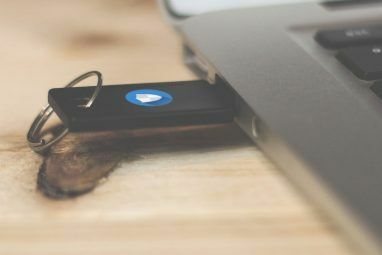 Although these have many great features too, thorough comparisons (such as this one by Dave Password Manager Battle Royale: Who Will End Up On Top? Password Manager Battle Royale: Who Will End Up On Top? Read More ) will often leave LastPass as the clear winner in terms of utility, security and price. 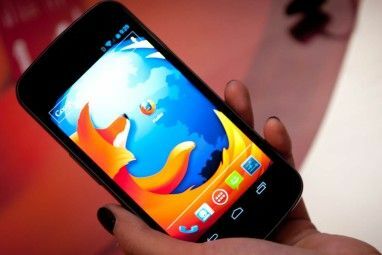 It only falls down when considering offline usage, however a Firefox user could backup LastPass to Firefox and ensure everything is available when offline. LastPass is easy to use, secure and will actually improve your online security by allowing you to set up stronger passwords that you don’t have to recall yourself. LastPass for Firefox is free, so there’s no reason not to give it a go right now! Explore more about: LastPass, Mozilla Firefox, Password, Password Manager. is it required to use firefox only to work with lastpass? I use safari and it work good for me and i am not palnning to change it, is their any repalcement to work with Safari? You write :- "There is no button within Firefox to use LastPass" - but there is, complete with a drop down menu of options. If it is not on your toolbar you can drag it there from the customise toolbars icon selection box. Sorry, got that last bit wrong - to get the button check the "use compact toolbar" option under "general" in the preferences dialogue box. Thanks. Yes, by default there's no button and it can be disconcerting at first. But when you're used to it most people find there's no reason to add one anyway. I'm surprised you say that as there is quite a lot of functionality in the drop-down, though I admit I mainly use it for quickly accessing my vault, which itself has improved functions since the last major up-date. I suppose using LastPass as a fit-and-forget app must have some merit, but I like to tinker!. I have found keepass more reliable. I have started using LastPass for Firefox from the last month and found it quite handy. Also helping my best friend to use it and recommending others to secure their online life. Thanks Angela, form ur article what i understand is that if I'm not a smartphone user, i DO NOT loose anything out of premium version- going for free version. Could u confirm my understanding? just a delayed response from the customer care if ever you need to ask them something..and a few ads...thats the only difference..which shouldnt bother you much.. Premium customers have smartphone access, USB authentication and a few other tricks. But almost everything is available for regular customers, so you shouldn't lose anything service-wise if you're just saving passwords through your browser. I have a premium version and it's amazing, very simple to use and of course not confusing at all to use. Until recently I've been using Keepass, but LastPass is easier. I definitely recommend it. The IDEAL Pasword Manager is KeePass since it's much more secure than LastPass and moreover KeePass can be used to infinite more applications, not restricted from within a browser. I have used a client app called Access Manager 2 for years which has served my purposes. However the downside to that is its only accessible via my computer. Recently I have been using Passpack which is great. Its online, secure and there is a free version (limited to 100 passwords). I too have been using LastPass for a couple of years now and wouldnt be without it. I used to have RoboForm but find LastPass easier and more reliable. Is it me or the login with facebook broken? Have not been able to login for the past 3 days. Not sure what that has to do with LastPass unles you are using it to login to FB. Same here. Must'a been a glitch with MUO because I couldn't log in using my Google account. Works now. There was a problem for a few days. Should be fixed now. - Our passwords are stored in the cloud as opposed to locally which Norton does which means a higher security risk. - Because I have over 100 accounts it is important for me to import and export however this isn't free with LastPass. So choosing between these two have being a real pain. IMHO, the risk of a cloud-stored set of passwords are about the same as those for locally stored. Should someone steal your device, they get all your passwords. As to a cloud storage, gotta check but I'm guessing that LastPass encrypts the passwords with strong encryption. I can't really say which is better because I've never used Norton, but to help with the decision I'll mention that LastPass encrypt and decrypt passwords locally, so there's nothing unencrypted going over a network or resting in the cloud. Also, you can import without upgrading just using the extension. Give it a try! Don't forget Last Portable for Chrome & Firefox. Great for your USB drive. I also can't stress how much LP Premium is worth the $12/year. Yeah, the premium account is worth it for that and the mobile apps. I've been using LP for FF for the last couple of years and have been very satisfied with it. Most of my passwords (esp. for email) are over 40 characters ! LP is perfect for those ultra-long passwords!